A written estimate – Ensure that the company offers you a proper written estimate. Don’t settle for a verbal estimate, as it can cause a lot of problems in the future. Make sure all the details and a proper estimation are given in writing. Service – Is the company prompt and courteous while talking to you? 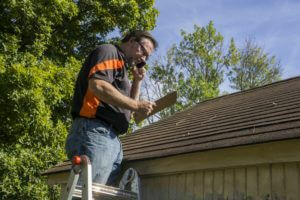 The best way to judge quality and level of commitment of a roofing company is before you hire them for the job. Did the manager call you to ask detailed questions about the job? Were they on time for all their appointments? These small things will give you a hint of what to expect when the job is theirs. Options of shingles – San Antonio roofing contractors who give you a wide choice of shingles from different manufacturers should be preferred, as you can pick the color, design, and warranty that matches your home and needs. Licensing – Check if the company is licensed and insured. This must be mentioned in the written estimate or proposal. If they have a good rating from the Better Business Bureau, you can be assured of quality work. Payments – Ensure that the payment plan is duly mentioned in the proposal. A reputed company will not ask for any money until the job is completed to your satisfaction. Follow these simple steps to evaluate the quality of roofing contractors to ensure your home roof receives the best products and services.